1838 - The Prophet Joseph and his family, along with Sidney Rigdon and his family, continued on their journey from Kirtland, Ohio, from which they had fled for their lives, towards Far West, Missouri. 1839 - The committee organized to help the poor Saints leave Missouri continued their work of contacting those who wished to leave Missouri and did not have the means to do so. Theodore Turley was appointed to superintend the management of the teams that had been provided for removing the poor, and to see to those things they needed to make the journey. The Prophet Joseph and his companions continued to be held in Liberty Jail. 1841 - Elder Orson Hyde of the Quorum of Twelve Apostles, and his companion Elder George J. Adams, set sail from New York City for Liverpool, England, on a mission to the Holy Land. 1843 - The Prophet Joseph spent the day in various activities including a walk around Nauvoo with Orson Hyde and dealing with city issues. The evening was spent at Orson Hyde’s home with several brethren in conversation. 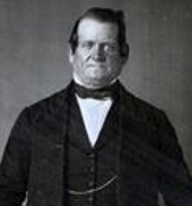 A Brother Dixon from Salem, Massachusetts became upset with some of the things Joseph said including his comments concerning the rich who came to Nauvoo and refused counsel from the Church and who “must be cut off” (History of the Church, 5:272-273). 1988 - A monument honoring the pioneer founders of Mesa, Arizona, is dedicated. 1990 - Bulgaria is dedicated for the preaching of the Gospel by Elder Russell M. Nelson. 1994 - The First Presidency announces plans to convert the Uintah Tabernacle into the Vernal Utah Temple. 2000 - An observation of the 200th anniversary of the birth of Hyrum Smith is held in the Assembly Hall on Temple Square in Salt Lake City, Utah. The 3,200 who attended heard President Gordon B. Hinckley and Elder M. Russell Ballard, a second-great-grandson of Hyrum, speak.